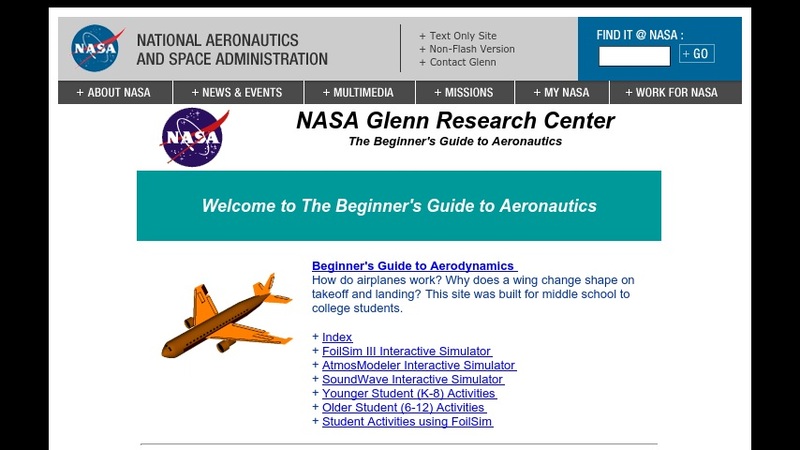 Each page at this site describes a single topic related to basic airplane aerodynamics, propulsion, model rockets, and kites. At the top of each page is a slide that illustrates the topic. The slide is accompanied by a caption that explains what the slide is all about and goes into some detail about the physics and math related to the subject of the slide. There are often links and references to other slides and sites where you can find additional information.